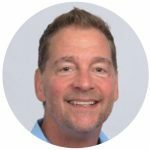 During this new webinar, you’ll hear about how Finish Line successfully solved core Retail business challenges: implementing better collaboration, connecting corporate and store employees, unifying store practices and retrieving more feedback. Answering Finish Line’s needs, LumApps helped implement an information hub, accessible anytime by employees, as well as a learning community for store workers. Presenting Finish Line’s testimonial, you’ll meet guest speakers from Google Cloud and LumApps. For many companies, combining LumApps with G Suite is the ideal solution to ensure simplified communication and collaboration. By synchronizing with G Suite and enhancing work applications, our all-in-one intranet combines corporate content, social feeds and workspaces, providing a single access point with everything you need to work. To learn more, read Google’s blogpost! 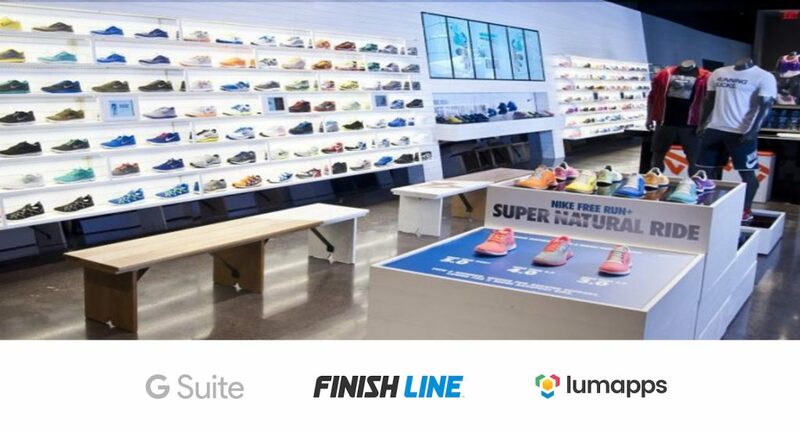 In collaboration with Google and Finish Line, we’re hosting a webinar to show how LumApps + G Suite have helped one of the leading US retailers in sports equipment, Finish Line, to push their digital transformation forward, beyond going paperless and migrating to cloud solutions. They’ve successfully overcome some Retail challenges, such as implementing better collaboration, connecting corporate and store employees, unifying store practices and retrieving more feedback. Finish Line picked LumApps for its seamless integration with G Suite, in order to streamline internal communications and implement a learning community. In our first conversations with Finish Line, the retailer expressed multiple needs, such as improving operational efficiency and reducing email use. 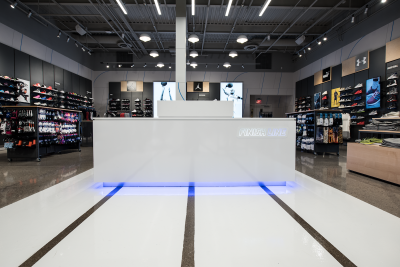 Some were particular to retail, as Finish Line wanted to improve overall collaboration between teams – for example on merchandising strategies – and to open communication channels between store operations and store workers. In other words, Finish Line needed to bring corporate and field employees together, back into the fold. A major challenge was to link hundreds of stores spread across the country, not least to provide a consistent customer experience. Since integrating LumApps and G Suite, employees now have easy access, from any device, to the information hub Connect where they can find all internal news, product information and business apps, all in the same place. Using tablets on-the-go, they can refer to and share the latest inventory lists, promotion schedules, store layouts and more. They can also use the portal as a social platform to connect and share with colleagues, using social work spaces. Heading the migration at Finish Line, Warren Lenard also sought a platform to internally harness employees’ enthusiasm. LumApps connects them inside a proud company culture, the Finish Line family! Sharing successes has never been easier, as people from all teams have a chance to express themselves and give feedback. Switching to G Suite and LumApps was a big step for all employees, but most immediately recognized the advantages of collaborative work tools, noticing more efficiency, fewer emails and a definite time save on specific logistics. One case involves retrieving information from store managers over 1,000 stores and compiling their answers. This task usually took weeks by email and is now completed in a matter of days through G Suite. Finish Line has only begun with LumApps. They are already planning for a self-service training portal with videos and rich media, so employees can continue to hone their knowledge. Join us inside the Finish Line Lab Store! To learn more about how LumApps can help your retail business, sign up to join our free webinar on September 26, 2017 at 10 AM PDT / 1PM ET. We’ll see you there!